If चमेली were a lesbian, who would be perfect for her? Do आप also think that Sinbad and चमेली could be an amazing couple? Do आप like चमेली nice या mean? Is चमेली the hottest Princess ever? Which डिज़्नी heroine do आप think चमेली is most similar to? In wich outfit do आप like चमेली best,Red Jafar slave,sneky peasent,or pretty princess? हे guys! In this article, I will describe where चमेली places on 5 of my lists regarding towards and relating to डिज़्नी Princesses. Here we go! 9.You fail sometimes when आप try to help. Princess चमेली of Agrabah. Princess Jasmine. Jas. 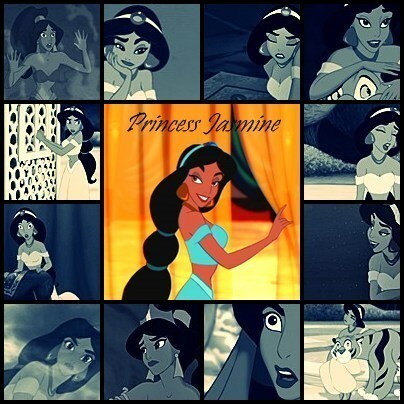 Jasmine. Aladdin's wife. Whatever आप call her, चमेली is the best डिज़्नी princess in my opinion. She has all the characteristics that I love. In this article, आप will here from me exacly why I प्यार this girl, and why she needs to be recognized more. Jasmine's personality is one of the most unique out of all the DP's. She is sassy, independent, and hot-tempered, but she is also sweet, king, generous and cunning. There is not a moment where she is seen not standing up for herself. I wrote an लेख about this subject for Belle and since that one was so much fun I figured I should write one for चमेली aswell. Well, I know this movie was set a long time पूर्व (Genie: "That outfit is sooo 3rd Century") but don't आप think that Jasmine's at least a little bit young? At the start of the movie she is 15, 3 days from her 16th b'day. द्वारा the end of the movie she's 16. But द्वारा her confidence, looks and place in life I thought she was in her 20's! Here is another character लेख i hope आप will enjoy it. चमेली is a princess that goes up and down in the popularity ranking so its difficult to say where she is in popularity. She was designed द्वारा Mark Henn and he based her on someone he saw in a park with a long black mane and her facial features was based on his sister. When her looks were set the director कहा that they had to redesign अलादीन so they whould fit together since she "blew him away." JASMINE--The princess of Agrabah is my 1 प्रिय animated heroine. She is a true princess, knowing when to follow custom and when to defy it. चमेली has a lot of dignity, but she also has a sense of humor. She knows what she wants and goes after it. Everything about her, from her look and dress and attitude, says "Arabian princess". Notice the way her black hair is shaped and how gracefully it moves. I प्यार all of Jasmine's outfits. ROYAL is Jasmine's word. My प्रिय line--"Just...go...jump off a balcony!" 10. "Then maybe I don't want to be a princess anymore!" 9. "I always get my man." 8. "I'm a fast learner." 7. "That was for ruining my wedding." 6. "Right--a prince like you. And every other stuffed-shirt, swaggering peacock I've met!" 5. "Unhand him--by order of the princess!" 4. "You were just playing with that over-dressed, self-absorbed Prince Achmed, weren't you?" 3. "And your beard is so...twisted." a comment was made to the poll: Which is your favourite outfit from the TV series? Jasmine's appearance was influenced द्वारा what actress? Do आप guys think we need a new icon?